These Colors Reload Long Sleeve Grey T-Shirt - 100 Percent Ring Spun Cotton, Pre-Shrunk, Detailed Screen Printed Artwork | BUDK.com - Knives & Swords At The Lowest Prices! We pull no punches when it comes to patriotism - and neither does this awesome long-sleeved t-shirt! 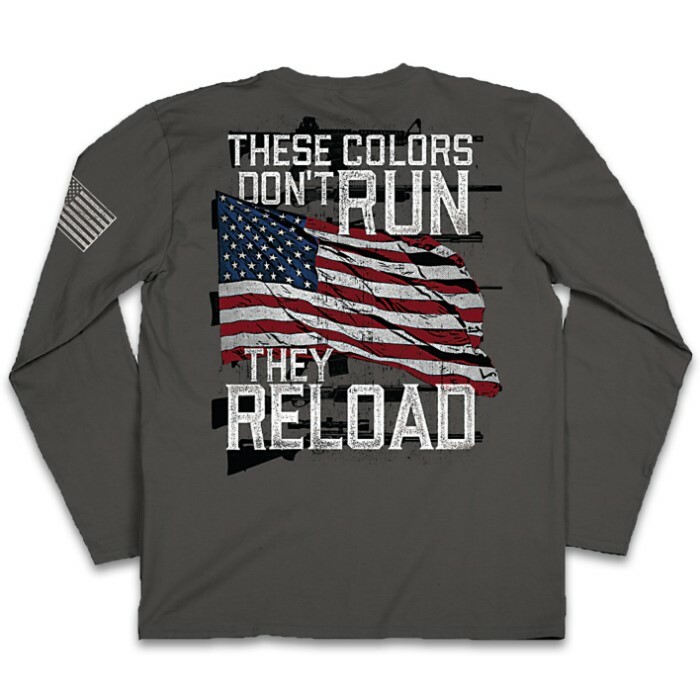 The message “These Colors Don’t Run, They Reload” is unequivocally stated on an American Flag and guns background. 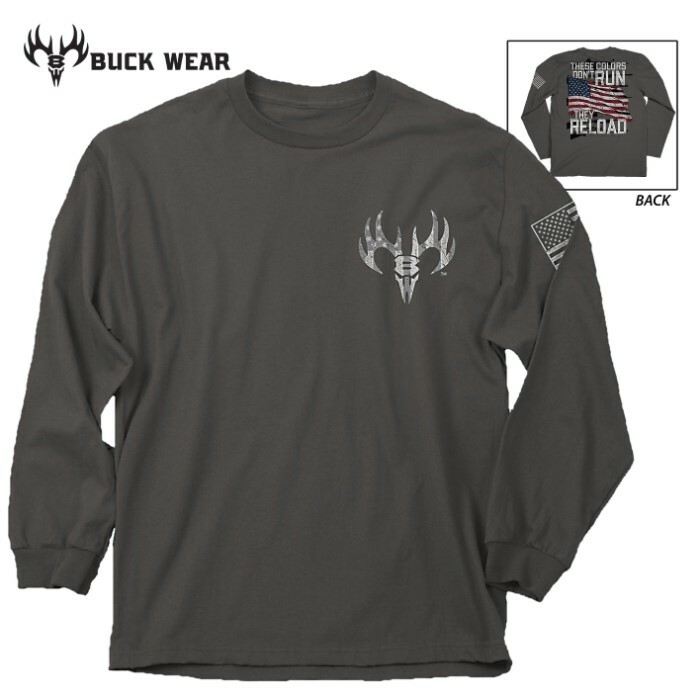 The patriotic tee also has an American Flag patch on the left sleeve and the iconic Buck Wear logo on the front left chest. The grey tee is made of 100 percent, combed ring-spun cotton jersey, which has been preshrunk to minimize shrinkage. It has a set-in rib collar with shoulder-to-shoulder taping and double-needle sleeve and bottom hems. The high quality screen printed artwork will withstand hundreds of washes.